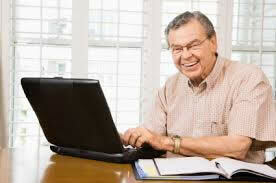 Welcome to the Matrix Glaze Software Website. Matrix software is now used throughout the world by educational institutions, studio potters and industrial ceramists. This web site contains resources for those involved with ceramics in either an educational or productive capacity. Matrix V6 is a formula calculation package and glaze storage system with some unique features not to be found in other glaze applications available at present. It is one of the most advanced and comprehensive glaze software packages available today. Matrix will enable you to take control of your glazes giving you the capacity to explore and experiment in a systematic and logical way using some very easily learned principles. 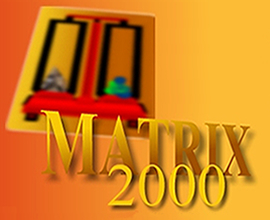 Matrix V6 for Macs Matrix can now be installed and will run on your Macintosh computer at no extra cost. 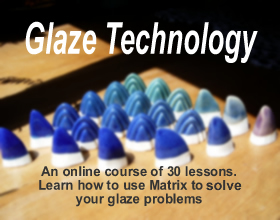 GlazeTeach - now a free course available on this website and comes free with Matrix V6. GlazeTeach is a seperate interactive html-based package designed to teach the basics of glaze chemistry. The complete package is now available here online and comes free with Matrix V6. If you have no knowledge of glaze chemistry then this is the package for you. 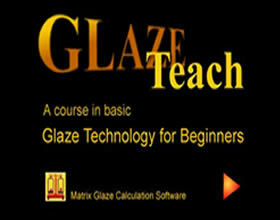 GlazeTechnology Course This course is for those wishing to learn glaze formulation in more depth. The programme is fully tutored and covers 30 comprehensive lessons. 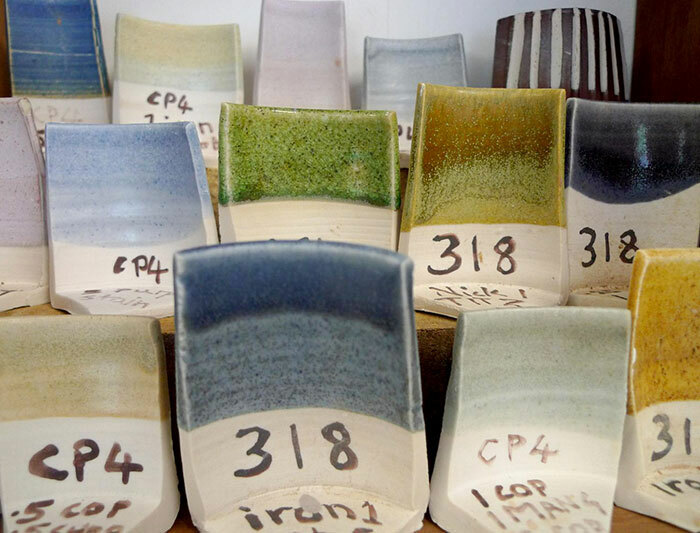 After completing this course you will have learned about the chemistry of glazes and will be able to manipulate your own glazes using Matrix software.